Image: The Good Brigade/Getty Images. In news that stay-at-home parents will probably not find terribly surprising, they’d be compensated to the tune of six figures if a salary accompanied the gig. According to data collected by Salary.com, stay-at-home parents would earn a grand total of $162,581 per year if they were paid. The amount of work stay-at-home parents do is often underestimated and undervalued, so this study totally vindicates the moms and dads who work approximately 96 hours per week when all is said and done. Researchers interviewed 15,000 stay-at-home moms to come up with this number — and the study found that it would be an understatement to say that these parents wear a lot of hats. Still, we’re sure some naysayers will say that salary sounds too high. But it adds up correctly in our book when you take into account what parents would spend on things like food and childcare if one parent wasn’t able to stay at home full-time. 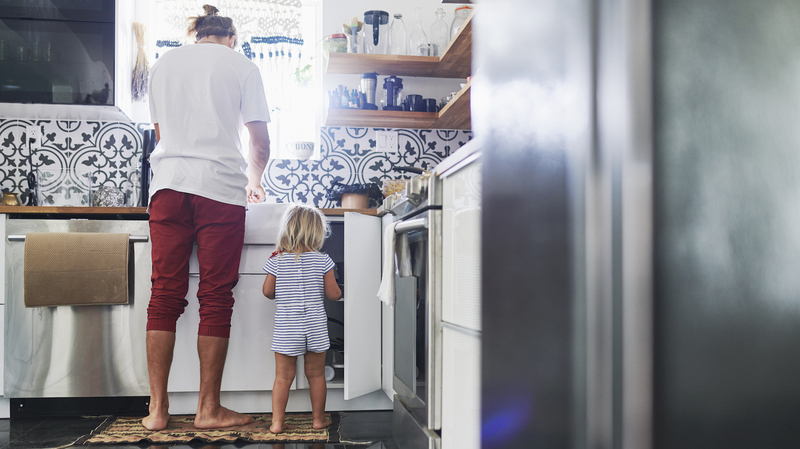 All parents are rock stars, but it’s sometimes assumed that stay-at-home moms and dads have more time to kick back than their employed counterparts. Plus, the phrase “working moms” is often thrown around, implying that a stay-at-home role isn’t a whole lot of work. But it is, and you don’t have to take my word for it — the data doesn’t lie, and stay-at-home parenting is a valuable role in more ways than one.